Think you're a Budget-buff? Test your knowledge with BBC News Online's Budget 2002 quiz. What did Gladstone drink when delivering his Budget speeches? How much of the price of the average packet of 20 cigarettes is tax? What help did Gordon Brown give to racing punters in last year's Budget? How long was the 2001 Budget speech? Which 20th century chancellor never delivered a Budget? What lies beneath the current Treasury building? 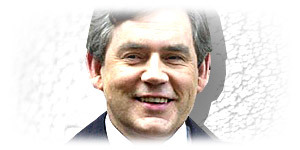 Gordon Brown is Chancellor of Exchequer - where does the name "exchequer" come from? What was frozen in last year's Budget? Which former chancellor described Budget day as: "Rather like a school sports day, a bit of a bore, but there it is"? Budget was the name of which chancellor's dog?